Cars are great for driving long distance and for commuting, but everyone, from an individual to a car broker, eventually needs to have a vehicle transported from one destination to another. In some cases it can be a regional job, and in others the transfer could involve a trip clear across the country. Whatever the case, car transport serves a purpose and useful one for many. For truck transporter drivers, the jobs can be very lucrative and rewarding, both financially and as a chance to travel and see more of a country by road. That said, a lot depends on making sure that the truck used is maintained well and the car transferred is protected and kept from harm. Having the means to maintain a truck and the equipment to transfer a car properly depends heavily on keeping a steady stream of jobs and demand going. That comes from fostering good relationships with repeat customers like car collectors, car dealers and personal property moving companies. Smart transporters are always marketing their services as well, whether it be with business cards and flyers or by phone and referrals. The wider a net is cast, the more possible connections and customers can be had. With a steady stream of business revenue established, maintaining a truck properly is key to holding onto business and delivering services. The running truck needs to be considered a top priority since, without it, the transport business won’t happen, period. That means investing the money and repairs when needed, changing tires and oil on time, and maintaining adequate insurance coverage in case of an accident. When the possibility presents itself, a transport truck owner should upgrade his truck when doable. By having better equipment on the truck, he can take on more complicated transfer jobs which often generate far more income than a standard vehicle transfer. Not only does this help in providing a better quality service, it raises the reputation of the business which in turn generates more customer calls by referral. Better equipment can include stabilizers, better harnesses, customized locks and securing tools for high-end vehicles, cushions, covers and more. However, all of these things cost money and are often expensive. Without a viable revenue stream, a transporter won’t be able to afford these expenses much less maintain his truck. So everything comes back to generating, maintaining, and growing a customer base as much as possible. Without this focus, a transporter and his car transfer business will never become a successful enterprise. 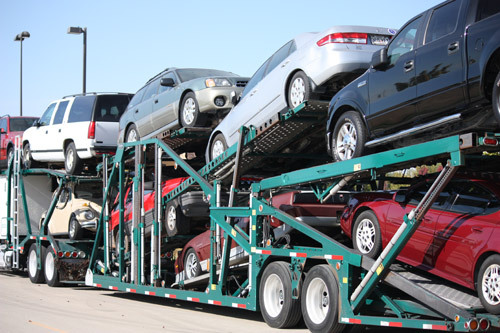 Vehicle transporters who regularly keep an eye on their bottom line and ways to keep their business expanding while still maintaining a high quality of service will easily be able to maintain their trucks and protect their transfer vehicles well. Cutting corners and serving customers badly ends up being a spiral into business failure as a transporter will eventually suffer from poorly maintained equipment damaging customers’ vehicles or delaying their delivery. The connection between investment and eventuality seems obvious, but many would-be transporters forget that customers represent the bread and butter of success.